Easy, 30-minute meals and sweets were the big winners in 2017. Today we are taking a look at the Top 10 Reader Favorite Recipes for 2017. 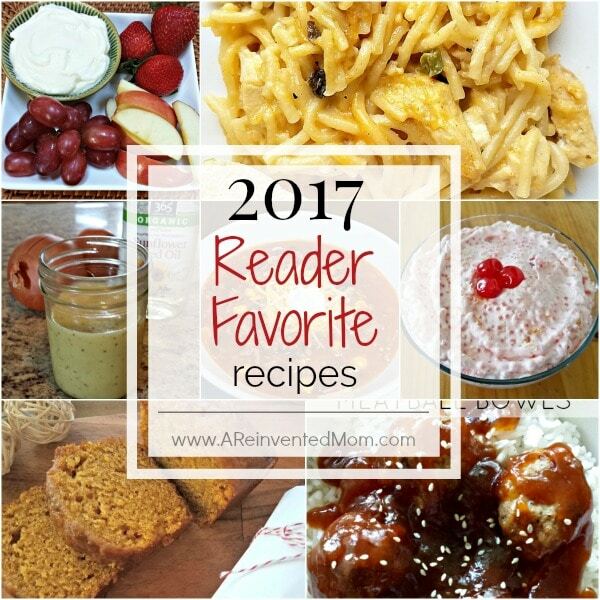 With 2017 drawing to a close, I thought it would be fun to wrap up the year with a Top 10 list of Reader Favorite Recipes. Rankings were determined based on the recipes with the highest page views this year. As I compiled the list, one thing became very clear to me. You like the easy weeknight and 30-minute meals. And sweets. It just confirms you are my kind of people. I’ll have to make a point of including more easy dinners in 2018. Let’s face it – we all have to eat but very few of us have hours to spend in the kitchen during the busy week. Lastly, I want to thank YOU!! I appreciate that you choose to spend your valuable time visiting my little corner of the web. It’s my hope to provide you with something of value every time you visit. Whether it’s a new recipe, a tip to help your budget or just a few minutes of respite from your busy day, I strive to make it time well spent. P.S. January 1st is just around the corner. Is anyone up for a Pantry Challenge? If you want to get a head start, download my FREE Shop the Pantry Inventory Printable sheet. A relatively new addition to the blog (just 2 months ago! 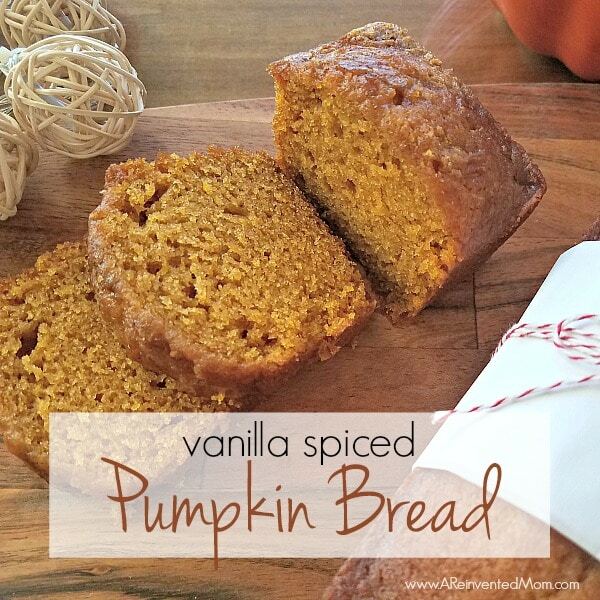 ), Vanilla Spiced Pumpkin Bread managed to snag the #10 spot. I guess we’re all feeling the pumpkin love. 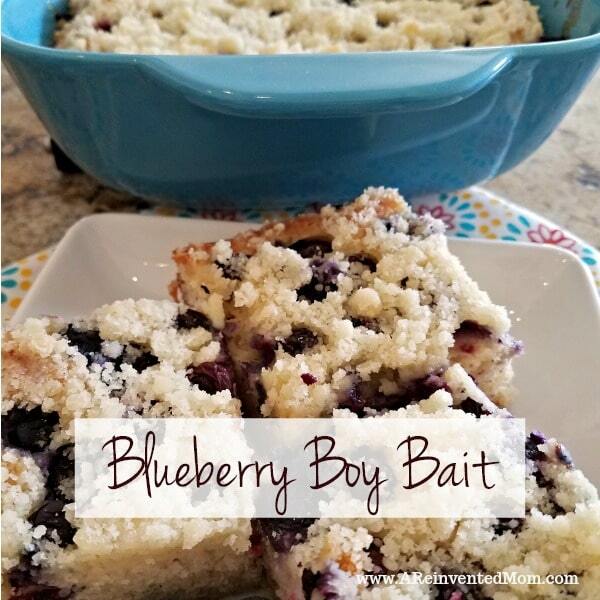 Was it the juicy blueberries or struesel-like topping that caught your eye? 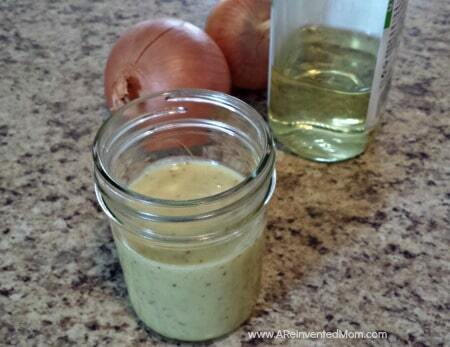 If you aren’t making homemade dressings yet, Creamy House Dressing is a delicious way to get started. You’ll never go back to store bought dressing. I always appreciate an easy side dish. 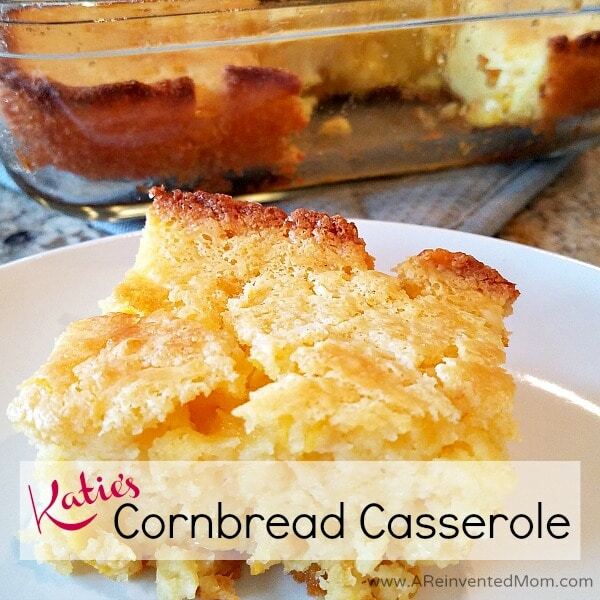 Limited ingredients and quick prep time make Katie’s Cornbread Casserole a winner for any occasion. The combination of sweet fruit and pasta make for an irresistible side dish. 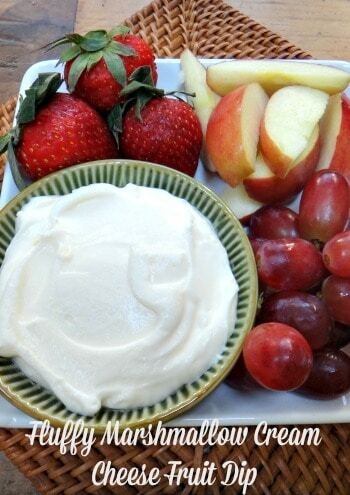 If you love fruit dips, you HAVE to try this 2-ingredient version. 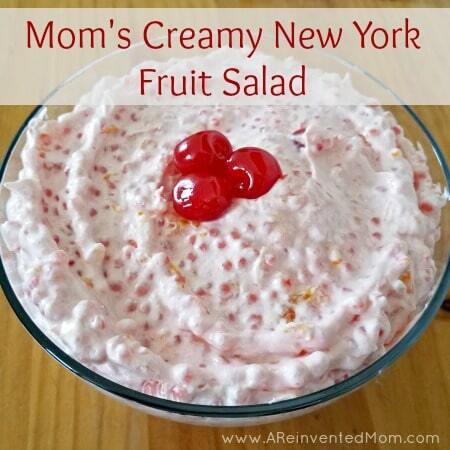 Fluffy Marshmallow Cream Cheese Fruit Dip is always one of the first dishes to disappear. 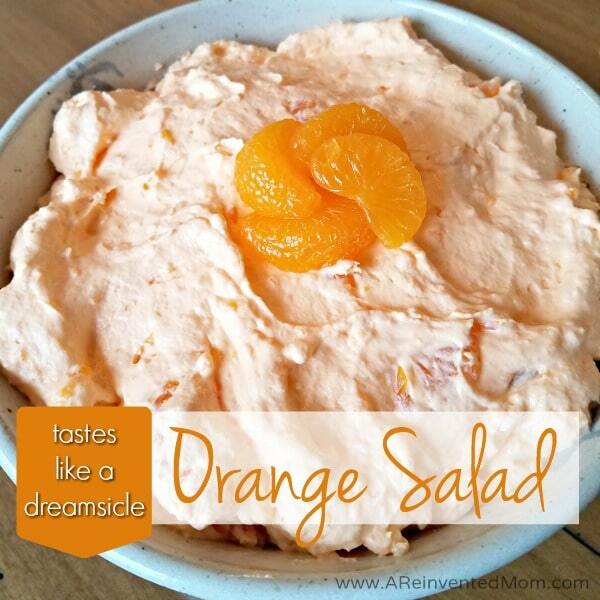 Of all the Jell-O salad recipes in my recipe box, Tastes Like a Dreamsicle Orange Salad is the most-requested. And it’s always served as part of the meal (wink). 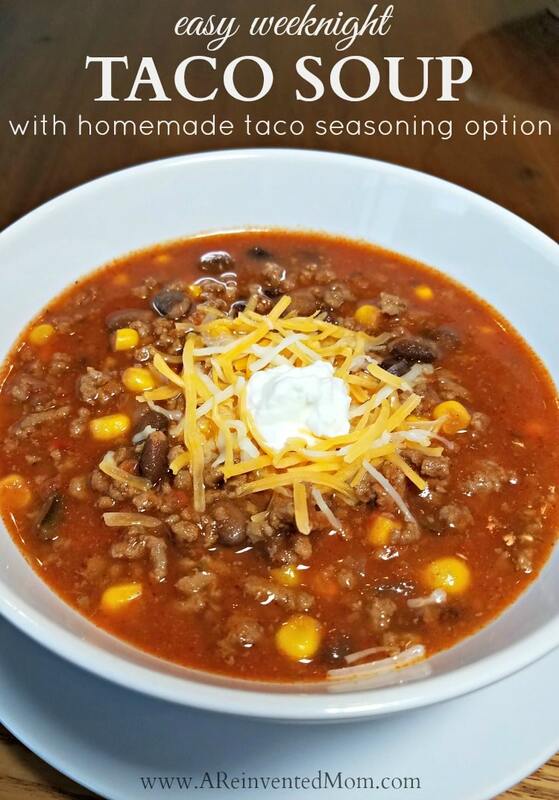 Nothing beats a piping hot bowl of Easy Weeknight Taco Soup on a cold winter night. You most likely have all the ingredients in your pantry right now. I’ve also included a Homemade Taco Seasoning option. Taking the #2 spot this year is another 30-Minute meal. 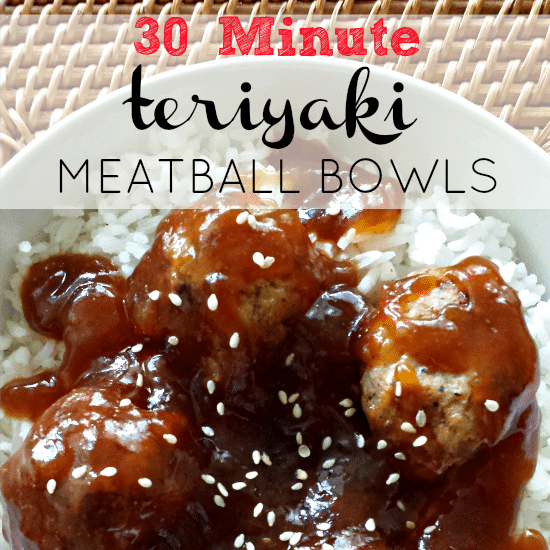 Top ranked by The Teens, 30-Minute Teriyaki Meatball Bowls is one of my go-to meals. The meatballs can also be served as an appetizer for parties and game days. I’m sensing a theme here – you really like easy meals. 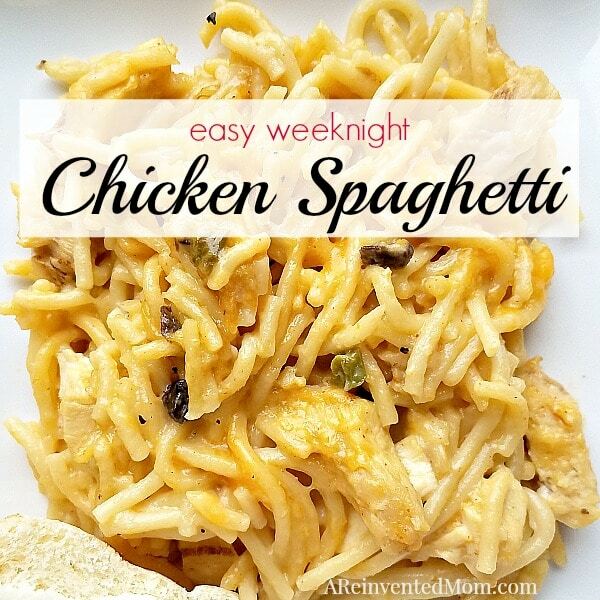 Easy Weeknight Chicken Spaghetti seemed to strike a chord for many of you. I’m still astounded at how much love you showed this recipe.